Let’s see the lens end!!! 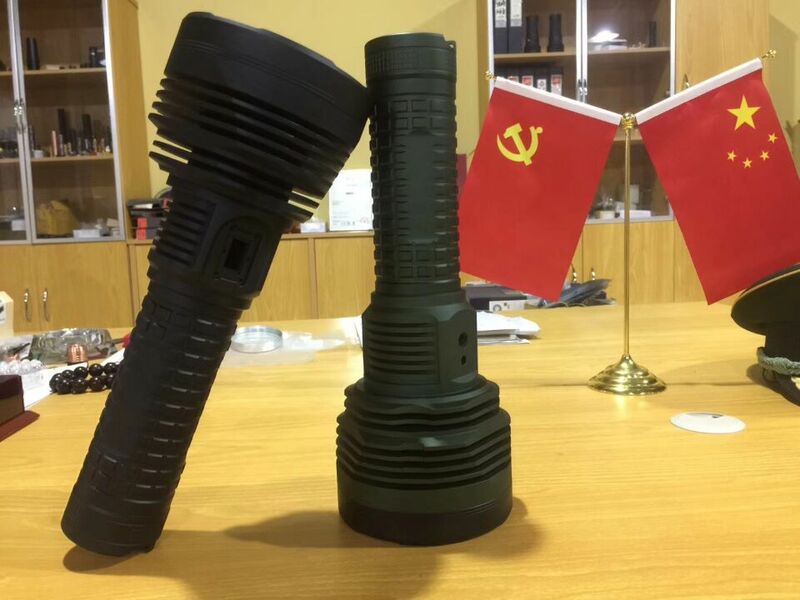 So this will be the chinese copy of the BLF GT ? Wow…. No, not GT. 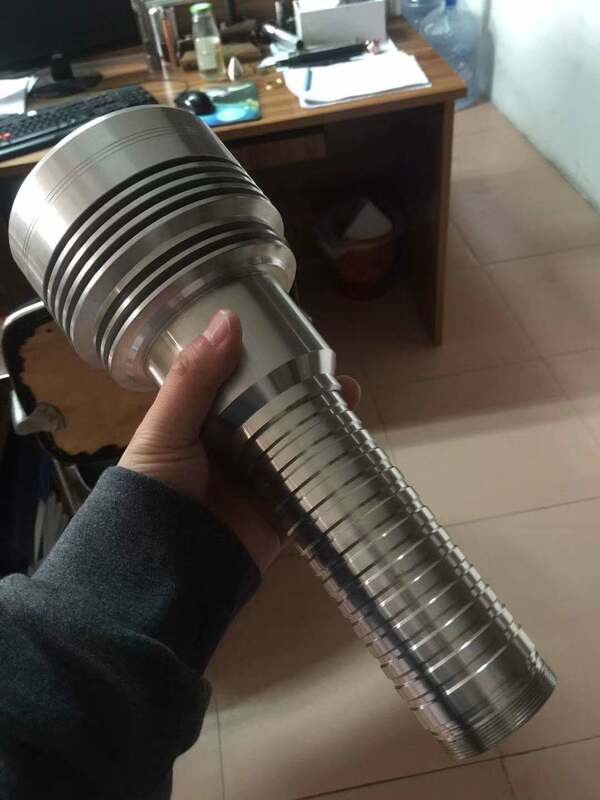 It’s multi-emitter. And GT itself is Chinese-made. 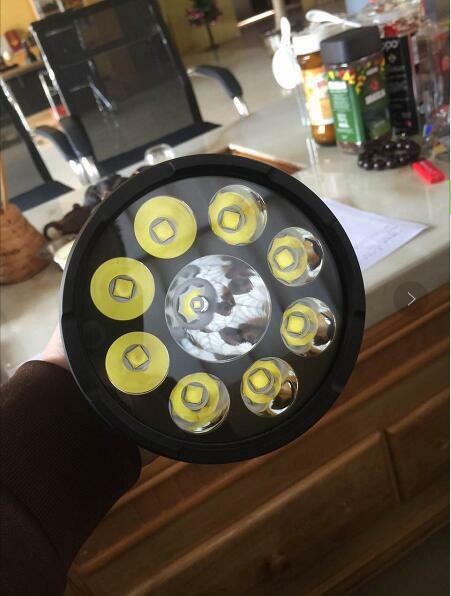 This will put more than 30k lumens? The tunnel through the head is interesting. 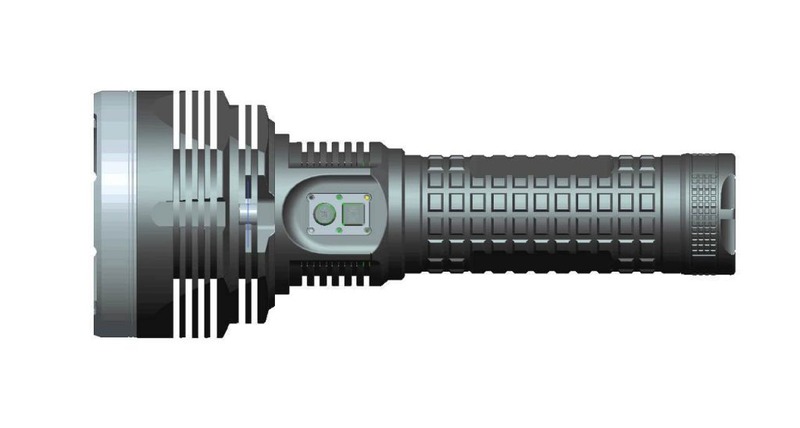 It does not look like the led is anywhere near its end as the optical path would be blocked (don’t remind me of Haikelite). So it looks purely as an extension to improve cooling. But then the tunnel could be narrower, enabling larger fins….Or maybe batteries go there? Please make it less floody than DX80, 200KCD will be great. 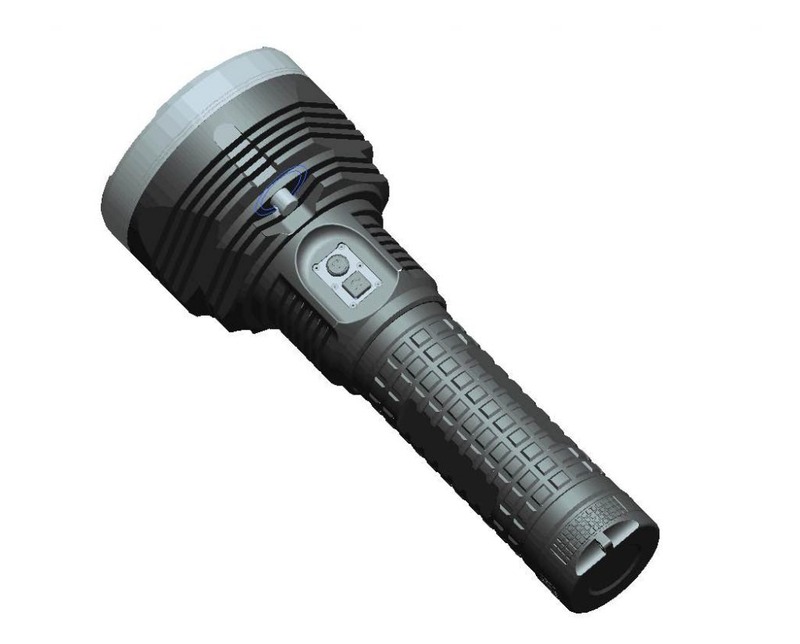 For me, top lumens of about 15-20k and continuous/sustainable lumens of about 7-10k would be very good. 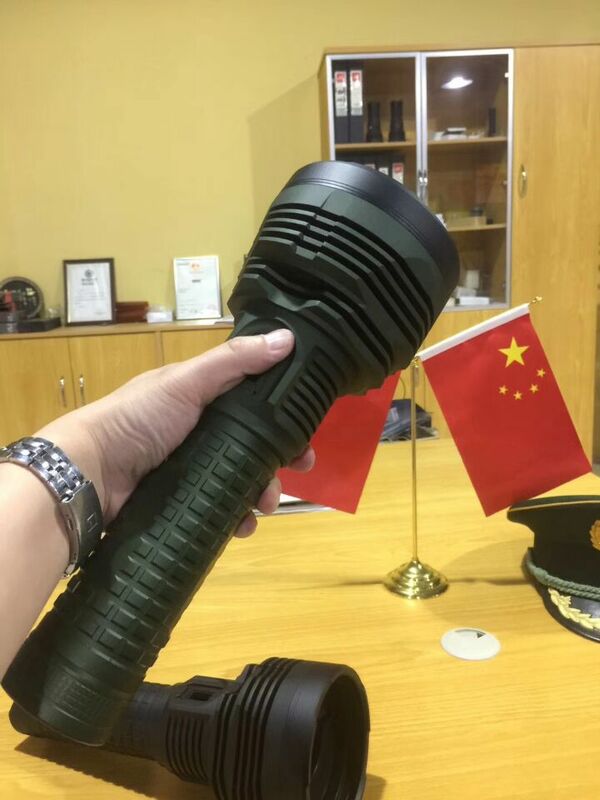 Looks like it has 120~130mm head diameter. Maybe it’s for better grip. Ya, those big flat mill on tube are ugly. Ya, we don’t need too many XHP70.2, else it ends up shallow reflector and will be too floody. 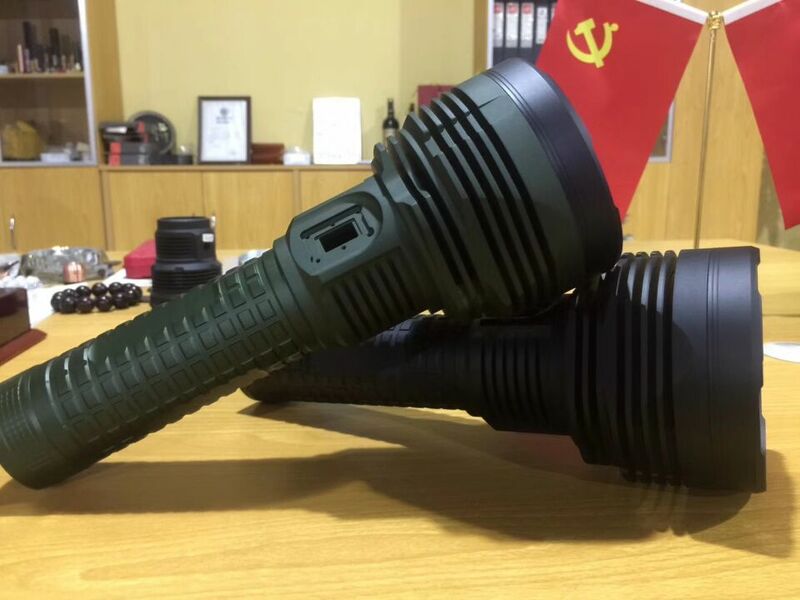 11k lumens with very high throw is nice too. They are the same light as far is I can see. It just Hasnt passed the mill. We need a REAL xhp70.2 thrower this time. Pretty good and not nearly as bulky. You won’t get it here. Buy GT and do a swap.